In 2010 and 2011 Mitch Ranger worked, reworked, and rewrote the script on the modern studio. Through meticulous thinking and precise planning, he’s developed a portrait shooters’ paradise, equipped with all the amenities a client or subject could expect. And then some. 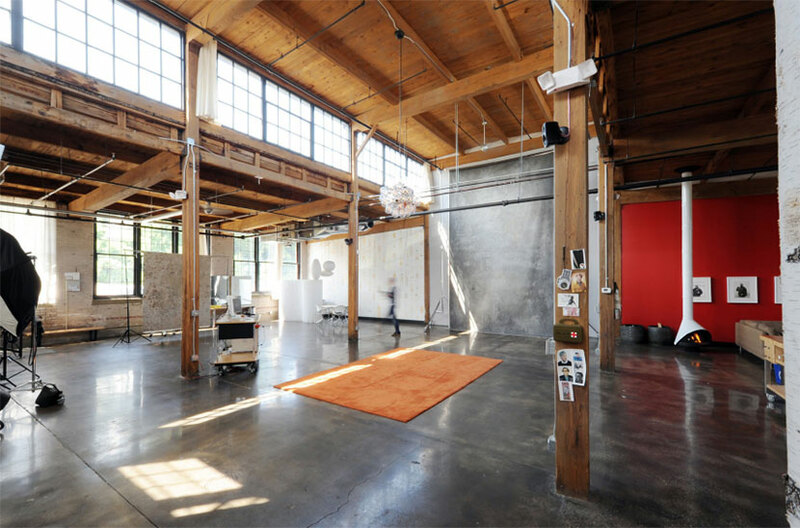 One of the most empowering features of the 2,200-square-foot studio is its natural lighting. Considering a corner of the space is spanned with hand-picked birch trees, it’s only fitting that sunlight be permitted, and welcomed. In every aspect, the studio is a nurturing collective of nature and art—an electrifying epicenter of creativity, culture, and curiosity. From the food that gets put in the fridge the morning of a shoot to the cocktails that come after a hard day’s work, the space is a well-imagined extension of Mitch Ranger’s personality. During a shoot, subjects and clients alike can relax, come alive, dance or just hang with the utmost style and comfort. And it’s all happening in Grand Rapids, Michigan—the growing city that’s become the current hub of Mitch Ranger’s space, staff, and world-class work.